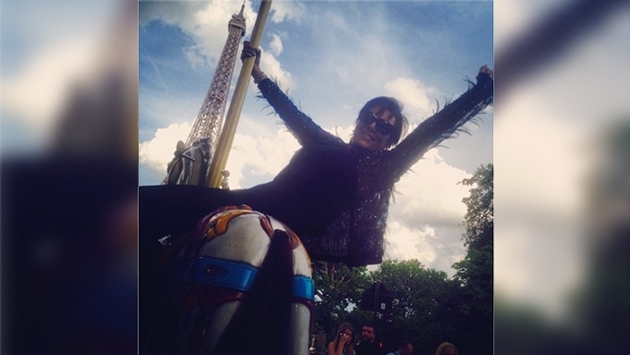 Kris Jenner is already having a blast in Paris and it's not even Kim Kardashian's big day yet! The mother of the bride headed to the City of Light to prepare for Kim and Kanye West's upcoming nuptials, and has posted a number of photos while in France. "Oh Hiiiiiiiiiii PARIS!!!!! We're HEREEEEEEEEEEEEEEEEEEEEE!," Kris wrote with a black-and-white selfie with makeup artist and friend Joyce Bonelli. Soon after landing in Paris, Kris took in the city by riding the carousel near the Eiffel Tower with Kourtney Kardashian, who is also already in Paris. "Love on a merry-go-round!!! !#nightsinparis #herecomesthebride #KanyeheartsKim," she captioned the cute picture. Meanwhile, daughter Khloe Kardashian, Kendall and Kylie Jenner were spotted at LAX on May 19 as they prepared to jet to Paris for the ceremony. The soon-to-be newlyweds also got a headstart and were seen strolling the streets of Paris on May 19. They stepped out for an afternoon of fashion and food in France. 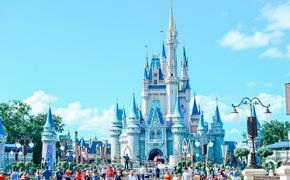 We're so excited to see how Kim and Kanye's wedding weekend unfolds. Are you?